As Saudi Arabia's deputy crown prince, Mohammad bin Salman Al Saud, pushes his nation's Vision 2030 economic overhaul and crows of the $2 trillion Saudi Aramco valuation (ahead of its potential IPO), WSJ reports that officials at the state-owned oil company are applying internal value estimates of $1.3 to $1.5 trillion to the valuation, calling bin Salman's estimate "unrealistic and mind blowing." Since deputy crown prince, Mohammed bin Salman, announced the stock-offering plan and his $2 trillion estimate early last year. Insiders and outsiders have questioned how he arrived at that number. A team of about two dozen employees have been working since last year to try and figure how to take Aramco public while working with Western consultants to explore ways to restructure Aramco in order to maximize its value, say people familiar with the process. 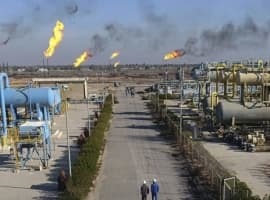 The team has determined several variables - what some call “levers” - likely to affect the price investors will pay for shares of the world’s largest oil producer, according to internal documents reviewed by The Wall Street Journal. But, as The Wall Street Journal reports, no matter how they pull those levers, which include the price of oil and the new Saudi tax policy, Aramco’s projected value tops out at about $1.5 trillion. 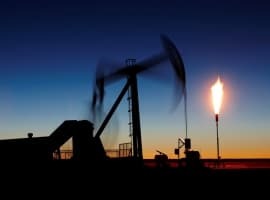 By selling up to 5 percent of shares in an initial public offering targeted for next year, the government plans to raise billions of dollars that it can use to invest in other industries as part of a plan to reduce its heavy dependence on oil. 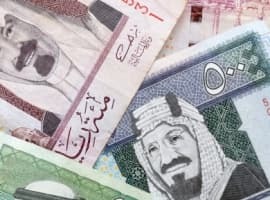 The valuation discrepancy raises new challenges for a deal that is already fraught with complexity and facing opposition within the ranks of the kingdom’s government bureaucracy, according to those knowledgeable of the situation. Questions about Aramco’s valuation surfaced earlier this year when a report for potential investors prepared by oil-industry consultant Wood Mackenzie Ltd. put Aramco’s value at around $400 billion, according to a client who attended a private Wood Mackenzie briefing. Saudi government officials say Aramco’s high reserves and low costs should make the company attractive to investors. “Our profitability is higher than others and the interest we have received so far is huge,” said a defender of the $2 trillion estimate. Some officials inside the company and the government have privately suggested reevaluating the listing, and perhaps reducing its size or delaying it. So far, Prince Mohammed and his staff seem unlikely to do so, say people familiar with the matter. Is Australia The Next Big Thing In Shale? Will Libya’s Production Rebound As Its Largest Oil Field Re-Opens? No matter the valuation of Saudi Aramco, this IPO is more about generating fees for the "ambulance pushers" with the likes of "J P Morgans," "White & Case," consultants, attorneys, bankers, analysts - all offering their advice for a slice of the pie. These are like brokers or car salesmen who sell real estate or cars, and then leave you to fend in the dark for bad deals. I really don't see any valid reason to pay a fortune just to obtain a 5% stake in a company that: A) it is state-run and subject to the political decisions and geopolitical priorities of the saudi royal family, thereby making it a political tool in the hands of a government, more than a private company focused on obtaining profit for its shareholders B) The breakeven costs of Saudi Aramco are, indeed, the breakeven costs of the Kingdom of Saudi Arabia, so it's important not to be misled into thinking they are low cost producers. That would be the case if they were a standard western company, but they're not. The whole country depends on Aramco's revenue so it's not accurate to analyze only the costs of the company. C) There is no rule of law nor legal certainty in a country where everything is subject to the will of its rulers. D) The company is in the Middle East, a region full of political risks. It might happen that the House of Saud gets overthrowned and the country sinks into chaos just like Syria. In this case, what will happed to the billions poured by investors? They would lose all their money E) Last but not least, oil reserves of Saudi Aramco aren't probably at the level they say they are. They have remained stable for decades now, something very unlikely unless they are cooking the books for political and economic reasons. So the company is probably massively overvalued. And i haven't even mentioned the possibility that EVs and fuel efficiency worldwide lead to peak demand, something that would leave a country like KSA and a company like Aramco in a very, very weak and risky position. All in all, i think any investor putting money in that IPO deserves to see his picture next to the definition of "Idiot" in dictionaries across the globe.